The routine of Anna Tolan, founder and director of Chipembele Wildlife Education Trust, starts early. By 6 a.m. she is already chopping fruits and vegetables to feed the orphaned monkeys and baboons. After that, she and her husband Steve clean the animals’ cages and call them in from the trees for breakfast. At 7 a.m., she is with her staff, planning out the day. Anna teaches at the organization's Conservation Education Centre two days a week and works out of the office another two days a week for administrative duties. At 5 p.m., the couple always stops for “sundowners”, an African expat tradition of having a drink and watching the sun go down. “Chipembele is located on the banks of the Luangwa river. It’s a great time to relect on the day and plan for the next, and to pinch ourselves as a reminder as to how very lucky we are”, Tolan said. The couple moved from Oxford, England, to Zambia, Africa, in 1998, after they both left their jobs a police officers. They wanted to make a difference in their new home. “We had traveled extensively in Africa and it got into our blood”, explained Anna. In 2001, they founded Chipembele, an organization that teaches conservation education to local school children in the area of South Luangwa, Zambia. “We had chosen Zambia of all the countries we had visited... we found the people very friendly and welcoming. Our passion for conserving wildlife and desire not to enter into any commercial employment focused us on establishing a conservation education organization”, Anna explained. Chipembele has a small animal rehabilitation facility, where orphaned and injured animals are cared for until being able to return to the wild. But the main efforts are put toward educational programs that reach 630 students from 17 local schools. 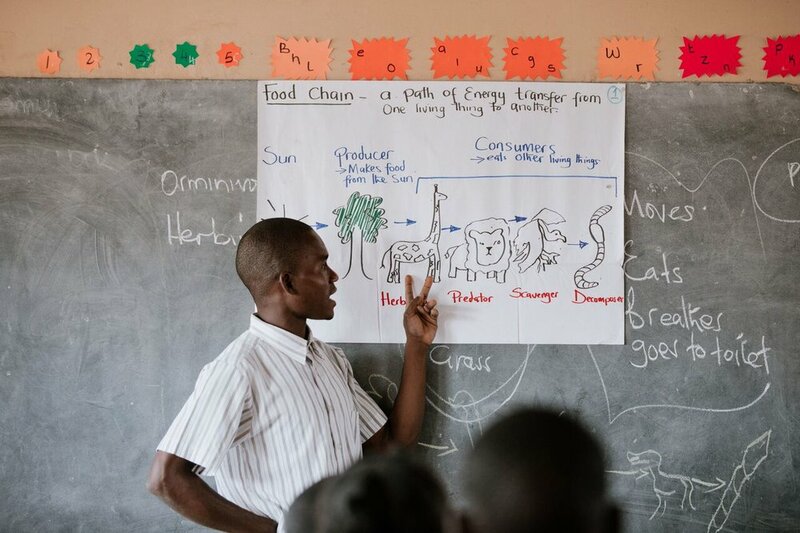 At their centre, the local children learn about wildlife, the environment, and conservation issues. To appeal to children, Tolan explains that their curriculum is interactive and unique. “There is a lot of teamwork, challenges, and competition. Much of our work is incentive based with rewards for participation”, she said. Other programs include camp excursions, a Camera Club, a Gender Awareness Program, and even a student exchange program that travels to Australia. For Natalie Allen, a travel photographer from Arizona, Chipembele enables youth to develop a new appreciation for wildlife and the environment. “Such programs encourage the young people of the area to be active conservationists and empower them to make the changes that are necessary to sustain livelihoods, conserve wildlife, and protect the natural environment long into the future”, she said. Click here to learn more about Chipembele, and how you can help wildlife this International Mother Earth Day. This article was first published in PWB Magazine #9, on sale now.